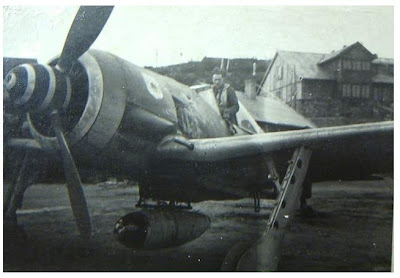 " I would like to ask you some questions about a particular Fw 190 I am interested in. 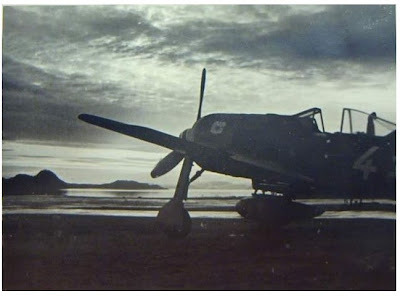 I am working on Fw 190 A-4 (maybe A-3) from 9. or 12./ JG 5 based in Herdla. This machine is "white 4 "
From the photos my correspondent has sent through he concludes that "Annemarie" would likely be an A-4.
" The engine vents look like one from late A-4 and silhouette of headrest looks like one from late A-3/A-4." 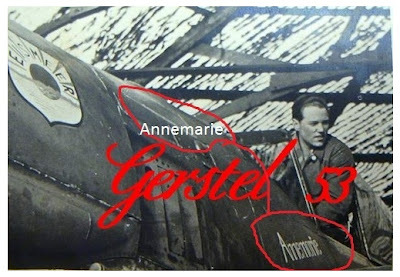 On page 114 of their work Brekken/Akra state that "Annemarie" is an A-4 but on page 115 it is identified as an A-3. I suspect that this machine is an A-3 - note the little round bulge on the cowling, above the vents, which covered the compressed air bottle valve that operated the upper cowl MGs, only seen on early Fw 190 fighters built by Arado (cf. page 109 'Jagdflugzeug 190' by Peter Rodeike). The picture above is also reproduced on page 160 of Vol IV (Band 4) of Erik Mombeek's history of Jagdgeschwader 5 "Eismeerjäger" and is dated March 1945. Note the absence of MG-FF guns in the outer wing station. See Brekken/Akra page 112 who confirm that " all A-2/A-3s had their MG FFs removed". 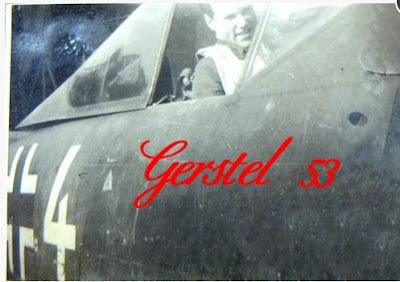 This leads to some questions regarding cockpit instrumentation and the lower wing cover/service panel related to MG FF wing armament..did an A-3 without MG-FF guns have Zähl- und Verschlusskontrollkasten ZVK-FF instrument (Fl.47298-1)? Was that instrument only in use with MG-FF guns or it can it count rounds on other guns? What kind of service/cover panel was in use on A-3 without MG-FF? 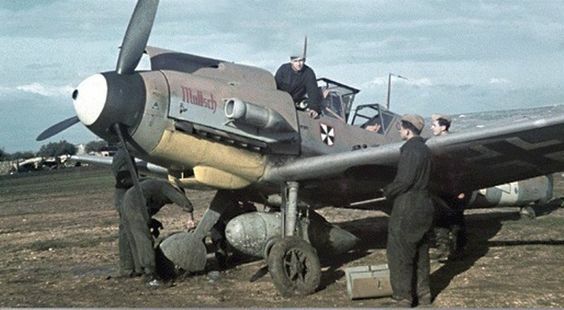 As for comments on the paint scheme and probable markings, "white 4" features the early national insignia (fuselage Balkenkreuz) that was still used on 2-to-3 year old Fw 190 A-2/A-3s assigned to JG 5. The standard 74/75/76 scheme here looks to be particularly dark, perhaps following an almost uniform application of RLM 74.